Domino’s Pizza, the UK’s leading pizza delivery company , opened its first store inside a Tesco Extra yesterday [October 17, 2011]. Located on Town Gate Retail Park in Dudley, the new store has created 15 local jobs. 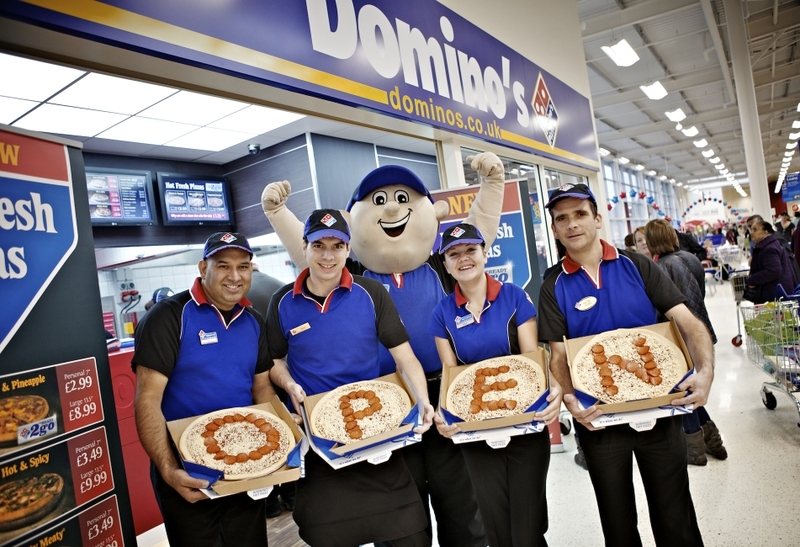 Domino’s new Dudley store offers a wide menu of pizzas for collection and includes a ‘ready to go’ option enabling customers to pick up a pizza straight away after doing their shopping. Pizza lovers can also order ahead in person at the store or by phone, online or using Domino’s iPhone, iPad and Android apps to ensure their favourite pizza is piping hot and ready for them to collect at a time to suit them. The store is open daily, from 11am – 11pm Monday to Saturday, and 11am – 4pm on Sundays. For more information on Domino’s, log onto www.dominos.co.uk. The new Domino’s store is located at Tesco Extra, Town Gate Retail Park, Birmingham Road, Dudley DY1 4RP. As at 25 September 2011, there were 702 stores in the UK, Republic of Ireland and Germany. Of these, 553 stores are in England, 47 are in Scotland, 28 are in Wales, 19 are in Northern Ireland, one is on the Isle of Man, one is a mobile unit, 49 are in the Republic of Ireland and four are in Germany.